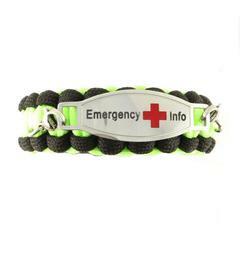 Our Night Hawk paracord survival Emergency ID bracelet is designed to help save your life. 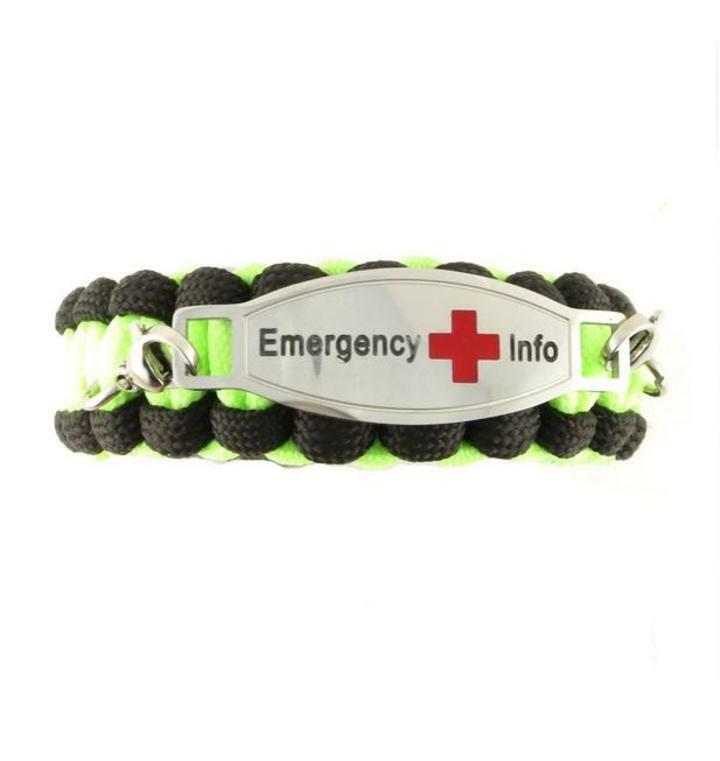 This rescue glow in the dark ICE identification comes packed with multiple necessary features that will help you survive day or night. The LED SOS light can flash, signal SOS or stay on, illuminating your way to safety. Other product features include a compass, a fire starter, screw tool, wrench, saw, bottle opener, and a whistle that is clear and loud for an immediate call for help. This is super durable military grade nylon cord and could be used for tourniquets, securing, splints, trapping, fishing and dozens of other survival uses. An ICE ID Emergecny Info tag that will be personalized with your custom information (your name, emergency phone number, personal information) for FREE. .This ICE identification is ideal for those allergic to metals!